Ten years after the crisis, volatility and fear have disappeared from markets. A synchronous global expansion coupled with persistently loose monetary policy produced a Goldilocks era for asset prices, culminating in fantastic returns in 2017. Will it last for another year? The short answer is: we have reasons to be cautious. Several macro analysts have called this an environment of rational exuberance. Volatility and asset prices are justifiably low, they say, given healthy macroeconomic conditions. Instead, we believe markets may be in a period of irrational complacency. The signs are widespread. Yields on European junk bonds have fallen below US Treasuries. Emerging market countries with a history of default, such as Argentina, have issued 100-year bonds. Facebook, Amazon, Apple, Netflix and Snapchat together are worth more than the whole German Dax. Banks are again marketing CDOs. Cash-park assets including property, art, collectibles and cryptocurrencies are soaring in a parabolic fashion, like life rafts in a sea of central bank liquidity. Not only have asset prices soared, volatility is at rock bottom too: the S&P 500 index just experienced the lowest amount of swings in the last 50 years. Investment strategies betting on a stable market have grown exponentially since the start of quantitative easing in 2009. We estimate $60bn capital in bets on low volatility and as much as $2tn that indirectly relies on stable volatility for performance. The combination of high asset prices, short volatility bets and herding, confirmed by IMF data, means losses may be more concentrated in a tail scenario. While regulators have focused on strengthening banks over the past few years, the largest risks may have moved to capital markets. Price action in late November provided a small-scale preview of what an unwind of goldilocks trades would look like: EM, tech stocks and utilities moving down in tandem with long-end Treasuries and gilts. There are three ways the current goldilocks era may come to an end in 2018. One ending could materialise if central bankers turn more cautious on the financial stability risks fuelled by loose policy. The People’s Bank of China and some US Federal Reserve FOMC members have already raised red flags. As the recovery matures, new leadership at the helm of the Fed and later at the European Central Bank could mark such a change of tack towards faster monetary normalisation.RecommendedPolitics is turning the screws on central banks’ easy money policyNeil Woodford warns of stock market ‘bubble’Will stock markets end a stellar year in style? Another risk could be a return of inflation. Even though technology, demographics and globalisation are still likely to cap reflationary pressures, betting against the Phillips Curve (the link between unemployment and inflation) may become riskier as US unemployment falls below 4 per cent and oil prices rise. If inflation accelerates, the spillover from rising term premia in interest rates could disrupt several other carry trades. The real endgame, however, may come from the will of the people — politics. The current combination of monetary debasement, populism and social unrest is neither a new phenomenon nor a coincidence. The late Roman empire shaved silver coins as it disintegrated; Henry VIII replaced silver coins with copper to pay for wars against France and Scotland; the British empire allowed double-digit inflation to erode bondholders’ wealth following the War of Independence; the Weimar Republic precipitated an inflation spiral. Comparing these examples to QE may sound extreme. Yet the biggest debasement in history may be the one we are experiencing now under the form of a $20tn central bank experiment, which is de facto depreciating money by boosting the price of all assets it can buy. Monetary policy has increased inequalities between the rich and poor, the old and the young and between large cities and suburban peripheries left out of the recovery. Brexit, Trump’s plan to exit trade agreements and the calls for independence across European regions all envision a return to past glory with the use of national borders, identifying an external enemy to polarise people’s angst and pursue disruptive policies in the process. Absent redistributive policies to rebalance inequality and promote social mobility, excess spending and protectionism from populist regimes are likely to result in higher public debt, higher inflation and losses for investors. Economist Rudi Dornbusch noted that crises take a much longer time coming than you think and then they happen much faster than you would have thought. Today’s markets price in that earnings will keep rising, volatility will stay low despite rising geopolitical risks and central bankers will continue to support growth without generating inflation. The Goldilocks party may go on a little longer but we all know how it will end. After years of intense analytical work and high-level political battles, reforms to global bank capital rules are finished. And what is the upshot? Most banks already hold more than enough capital. A small number of banks will need to cut risk or raise capital, but they have 10 years to do it. 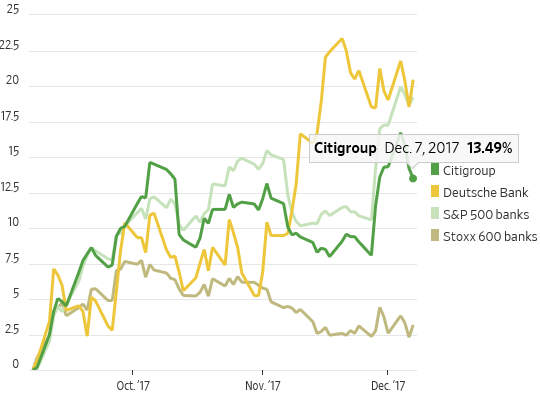 Most European banks, including those thought likely to be hardest hit—Deutsche Bank, BNP Paribas and Société Générale—saw their shares rise after the announcement late on Thursday. Investors and many top executives will wonder whether it was worth all the bother and uncertainty. Big European banks were the main target of the fight to tighten up the so-called Basel III capital rules, which were designed after the 2008 global financial meltdown. The Europeans’ use of sophisticated models to assess the risk of their assets undermined the credibility of the existing rules by assigning wildly different capital requirements to very similar types of loans. These models also allowed them to support much larger balance sheets on less equity than U.S. rivals, which many in the U.S. saw as unfair. A big part of the trans-Atlantic difference is explained by Europeans holding lots of safe, prime mortgages on their balance sheets, which require less capital, while U.S. banks tend to sell those to Fannie Mae and Freddie Mac. But that hasn’t helped the perception of Europeans somehow cheating the rules. The rule-makers have reached their goal of restricting the benefits big banks can get from using risk models. They have set their floor on how big a capital discount big banks can attain with their techniques versus unsophisticated standard models. But they only managed to do this by easing the rules a little for everyone else. In terms of numbers: the world’s 71 biggest banks between them are short EUR27.6 billion of common equity to meet the finalized rules if they were fully implemented today, according to the Basel Committee for Banking Supervision, which sets the rules. However, banks won’t have to begin to think about meeting them until 2022 and then won’t have to hit their targets fully until 2027. For context, these 71 banks made pretax profits of nearly EUR200 billion in just the second half of 2015. The banks making the most profits and those most in need of capital aren’t necessarily the same ones: for example the 12 biggest Europeans are together short of EUR16.4 billion in equity. But everyone has lots of time to adjust. In the end, politics moved on: the Trump White House focused on lightening regulation for banks, while European politicians, worried about their slow economic recovery, threatened to ignore the changes if they didn’t like them. What really matters now is that politics doesn’t start pushing the regulatory pendulum rapidly back in the other direction. Debt levels are still very high and banks take on big risks: Another crisis is far from imposible. 1. Prior market tops (1987, 2000, 2007, etc.) allowed asset managers to partially “insure” their risk assets by purchasing Treasuries that could appreciate in price as the Fed lowered policy rates. Today, that “insurance” is limited with interest rates so low. Risk assets, therefore, have a less “insurable” left tail that should be priced into higher risk premiums. Should a crisis arise because of policy mistakes, geopolitical crises, or other currently unforeseen risks, the ability to protect principal will be impaired relative to history. That in turn argues for a more cautious and easier Fed than otherwise assumed. 2. Economists prior to Keynes viewed “modeled” as well as “real time” economies as self-balancing, but subject to imbalances from external shocks like oil prices. Rarely did theory incorporate finance and credit as one of those potential earthquakes. It took Hyman Minsky to change how economists view the world by introducing the concept of financial stability that leads to leverage and ultimate instability. He alerted economists to the fact that an economy is a delicate balance between production and finance. Both must be balanced internally and then the interplay between them balanced as well. 3. Credit creation begins at the central bank level, but in reality is predominantly expanded via fractional reserve banking and near zero reserved shadow banks. This model allows substantial leverage and can overprice AAA assets at the core then expand outward until it reaches the periphery of financial markets. At that point or even before, credit usually leaks out into the real economy via purchases of real assets, plant and equipment, commodities and other factors of production. It is this process that has become the operating model for 20th and 21st century capitalism – a system which ultimately depends on asset prices for its eventual success. This model, however, is leverage dependent and – 1) debt levels, 2) the availability, and 3) cost of that leverage are critical variables upon which its success depends. When one or more of these factors deteriorates, the probability of the model’s success and stability go down. 4. Our entire financed-based system – anchored and captained by banks – is based upon carry and the ability to earn it. When credit is priced such that carry can no longer be profitable (or at least grow profits) at an acceptable amount of leverage/risk, then the system will stall or perhaps even tip. Until that point, however (or soon before), investors should stress an acceptable level of carry over and above their index bogies. The carry may not necessarily be credit based – it could be duration, curve, volatility, equity, or even currency related. But it must out carry its bogey until the system itself breaks down. Timing that exit is obviously difficult and perilous, but critical for surviving in a new epoch. We may be approaching such a turning point, so invest more cautiously. 5. Money/cash is different than credit. High-quality credit can at times take the place of money when its liquidity, perceived return, and safety of principal allow for its substitution. When the possibility of default increases and/or the real return on credit or liquidity decreases and persuades creditors to hold classical “money” (cash, gold, bitcoin), then the financial system as we know it can be at risk (insurance companies, banks, mutual funds, etc.) as credit shrinks and “money” increases, creating liquidity concerns. 6. Someone asked me recently what would happen if the Fed could just tell the Treasury that they ripped up their $4 trillion of T-bonds and mortgages. Just Fugetaboutit! I responded that that is what they are effectively doing. “Just pay us the interest”, the Fed says, “and oh, by the way, we’ll remit all of that interest to you at the end of the year”. Money for nothing – The Treasury issuing debt for free. No need to pay down debt unless it creates inflation. For now, it is not. Probably later. 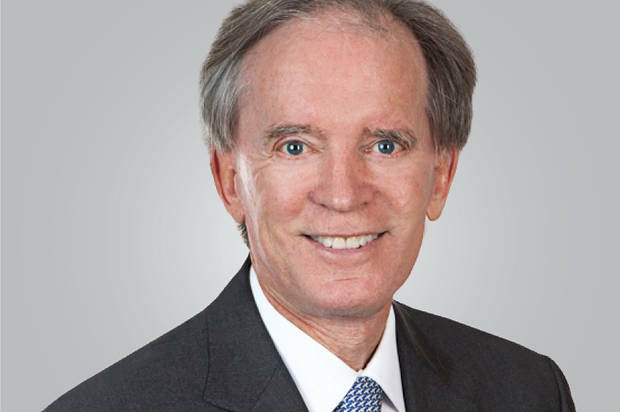 Gross is the Portfolio Manager of the Janus Henderson Global Unconstrained Bond and Total Return strategies and a member of the global macro fixed income leadership team. LONDON – Deep divisions within Europe are increasingly threatening the values upon which the European project of “ever closer union” is based. In 2015, during the refugee crisis, many commentators saw a divide between German Chancellor Angela Merkel’s Willkommenskultur (welcoming culture) and Hungarian Prime Minister Victor Orbán’s vision of ethnic purity: a Western Europe of bridges versus an Eastern Europe of walls. But another threat to European unity comes from within individual countries. In Germany, talks to form a center-left, center-right coalition have broken down. In the Netherlands, it took Prime Minister Mark Rutte 208 days to form a new government after elections in March. In the United Kingdom, the political establishment is in disarray over Brexit. And in Poland, white nationalists and neo-Nazis recently staged a massive march through the streets of Warsaw. Which gulfs are wider – those between member states or those within them? The answer to that question matters a great deal. If Europe’s biggest problem is that it is divided along national borders, then liberal-leaning countries like France and Germany could try to change the balance of power within increasingly illiberal countries. Every EU country agreed to a set of liberal-democratic standards (part of the so-called Copenhagen Criteria) when it joined the club. But, over time, the governments of Hungary and Poland have decided that they no longer want to abide by the rules. One solution could be to create a smaller club with better benefits. Countries that wish to join this privileged inner circle would have to agree to a new – or rather, the original – set of rules; and countries that break the rules would be left out. There would finally be a cost to breaching EU standards. But this solution could work only if the biggest problem is the divide between member states. As for the divisions within member states, consider Germany. After the federal election in September, Merkel embarked on a fascinating experiment, in which she tried to unite her center-right Christian Democratic Union (CDU), its more nativist sister party, the Christian Social Union (CSU), the pro-business Free Democrats (FDP), and the left-wing Greens. Merkel is a talented negotiator, and far better suited to write about “the art of the deal” than others we won’t bother mentioning. But it remains to be seen if she can heal the divisions in her own country. While the Greens would like to uphold the Willkommenskultur, the CSU’s position on migration is closer to that of the Visegrád Group (the Czech Republic, Hungary, Poland, and Slovakia). In fact, at the height of the refugee crisis in 2015, the CSU hosted Orbán at one of its party conferences. Moreover, while the Greens are European federalists who support greater economic solidarity with Greece and Italy, the FDP channels the fiscal discipline of the Finns, the Dutch, and German Swabians. They are staunchly opposed to deeper European economic integration. Even without a Jamaica coalition, Germany still has a stable liberal majority in the Bundestag. The same cannot be said for the rest of the EU, where almost every other member state is now a “50-50 society”: half cosmopolitan, half communitarian. In these countries, the government at any given time represents whichever side won the latest round in an ongoing culture war. In the UK, for example, 52% of voters opted to leave the EU. The country is now hurtling toward an isolated state of provincialism and xenophobia, but its leaders keep telling the public that Britain will be better off on its own. For those who believe it, the fact that the UK will lose a say in EU decisions affecting its economic environment doesn’t seem to matter. France, on the other hand, has an energetic new pro-European president, Emmanuel Macron, who is committed to preparing his country for the years ahead. And yet France is not much more cosmopolitan than Britain. In the first round of the presidential election this spring, the nativist campaigns of Marine Le Pen, Jean-Luc Mélenchon, and Nicolas Dupont-Aignan collectively won 46% of the vote – almost as much as the UK’s “Leave” campaign. Clearly, the EU is both a society of states and of citizens. That means intra-national divides are as important as the diplomatic spats between countries. 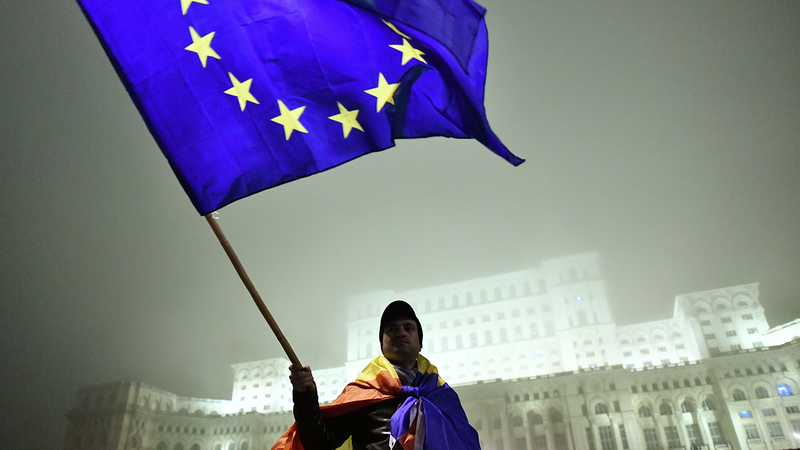 Earlier this year, a Brookings Institution report tried to determine if Europe is an “optimal political area,” a concept borrowed from economist Robert Mundell’s theory of “optimal currency areas.” The report concluded that cultural and institutional differences between EU countries have not changed much over the past three decades of European integration. But it also found that the divisions between countries are far smaller than the differences within countries. Or in other words, on the issue of freedom of movement, there is greater polarization between London and the British Midlands than between the UK and Poland. Creating a flexible or multi-tiered Europe could solve some short-term problems, by bringing together coalitions of the willing to address specific issues. But it could also introduce new dangers. After all, most European countries, regardless of what tier they are on, will still be 50-50 societies that could opt in or out of deeper integration with a single election or referendum. In the future, one cannot rule out the possibility that Le Pen will be elected president of France, or that the anti-EU Five Star Movement will come to power in Italy. By the same token, the more moderate Civic Platform might return to power in Poland. Confronting the intra-societal challenge to the European project will not be easy. It is a deep, generational problem that goes to the heart of national identity, history, and geography. No quick institutional fix can solve a problem like that.